She recently joined JP Morgan Asset Management as the chief market strategist for UK and Europe, and will start her post in November 2013. Prior to this, she was the BBC’s economics editor since 2008, with intellectual responsibility for all of the BBC’s economics coverage on television, radio and online. She continues to present the radio 4 programme Start the Week. She began her career as an economist at the London Business School and the Institute for Fiscal Studies. She went on to become a leader writer and columnist at the Financial Times. She left the FT in 1997 to become speech-writer and special advisor to US Treasury Secretaries Robert Rubin and Lawrence Summers during the Clinton Administration, where she was involved in the management of emerging market crises in Asia, Russia and Latin America, and the reform of global economic development policy. 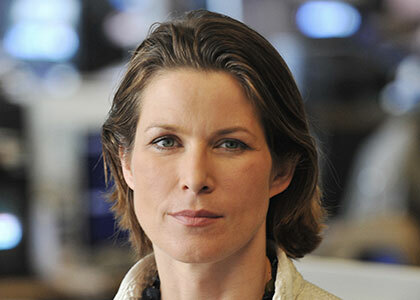 She left Washington in 2001 to become a correspondent at the New York Times. She subsequently served as principal editor of the United Nations’ 2002 Human Development Report. She was named Broadcast Journalist of the Year at the Work Foundation’s Workworld Awards for 2006.